Geleznowia verrucosa is a single species genus from the mid west coast of Western Australia. A small shrub growing to only 1m with great yellow flowers. Any plant from this area is going to be sun loving, drought tolerant and requiring a well drained soil, and Geleznowia verrucosa is no exception. It is a little adaptable, and will grow in a little shade, however sun for most of the day is a prerequisite. If you are considering growing this most attractive and desirable plant from WA you will need a well drained sunny position, look for a grafted form, for best chances of survival. Geleznowia verrucosa does make a wonderful cut flower, and are picked as such in Western Australia. 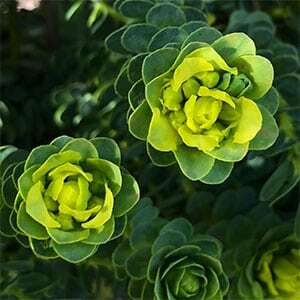 Problems with propagation and seed germination make this a rare plant. Smoke germination of seed, along with improved grafting techniques are making this attractive plant more readily available. Height – Will reach around 1 m in height. Flowers – Golden yellow appear in terminal clusters. Foliage – Mid green, small and oval shape held close to the stem. Aspect – Full Sun to part light shade.